The driving force behind Euphoria was the passionate belief that business PBX customers deserved much more than the available services offered by the incumbent at the time. We envisioned a transparent, simple and cost effective solution to a problem experienced by many SME businesses when considering on-site PBX systems: few good choices, getting locked into long term contracts, high costs and poor service. We believed that a great communications solution was possible and we dedicated our resources to design a product that would be nothing short of revolutionary. By developing a cloud-based system we could effectively reduce overall costs significantly by doing away with expensive installation, training and support costs. A complete business communication solution that combined the characteristics of sophisticated PBX solutions with the ease and cost efficiency of VoIP technologies was within our reach. This would allow us to offer top-end communications services to smaller organisations at a reasonable price. Euphoria developed this solution based on our own, similar past struggles. We needed a commanding and all-inclusive telephony solution that was easy to use and affordable. 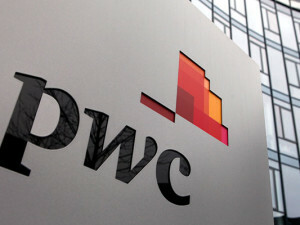 It had to offer all the benefits of a sophisticated, on-site PBX system but without the drawbacks. Customer service had to be a major focus. Two years of research and development ensued and in January 2011 we launched Euphoria. Today, Euphoria is an information and communications technology company that provides an innovative Voice over Internet Protocol (VoIP) communication service to SME’s. 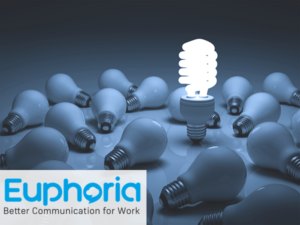 The Euphoria system comes complete with a unique online management system that tracks costs, offers in-depth real time reports and total control over the customisation of your PBX. We have found a growing market of smart business owners, discontented with their existing PBX systems, who have been looking for exactly such a solution. The advantages and inherent benefits for SME businesses are immediate from day one. With cloud telephony, there are no maintenance and running costs involved as there is no physical hardware (PBX) on the premises. The cloud subscription model means you only pay for what you need and allows you to increase your requirements as your business grows. The automation functionality of the cloud-based system means lower costs and higher efficiencies, while giving business owners direct access and agility to respond to changing demands. 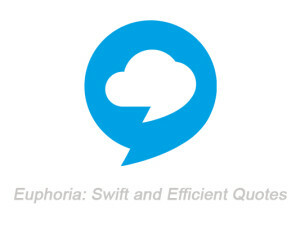 The transformational quality of Euphoria’s cloud telephony system is the centralised, consolidated view of the business costs in real-time. Euphoria offers technical expertise and on-going support that is affordable and reliable. We take the time to understand your business and telephony needs so that the cloud based solution is set up to support your unique and specific requirements. Our transparent and user-friendly reporting comes with all the customisation built in and can be initiated at the click of a button. Cloud telephony offers scalability, financial consolidation, immediacy, cost savings and higher efficiencies. Euphoria is dedicated to providing ground-breaking, cost effective telephone and PBX solutions to your business. Euphoria is leading the way. Call us today for a more cost effective tomorrow.